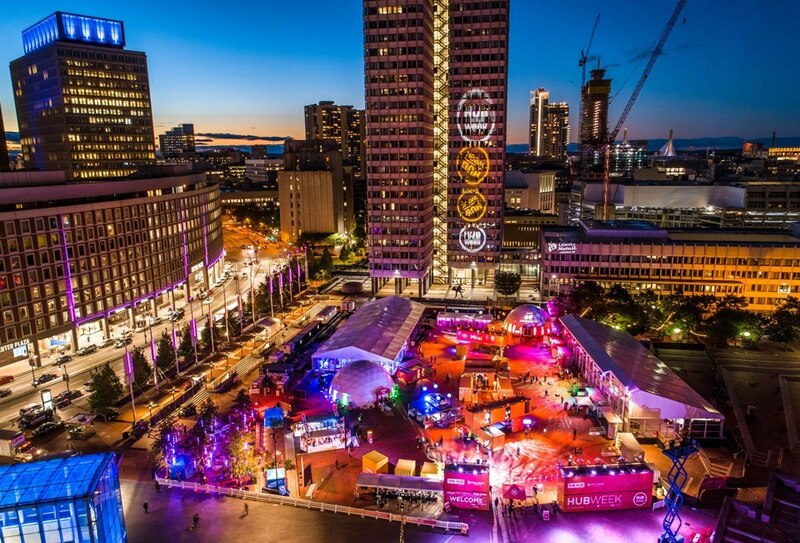 Boston, MA – Billed as the “festival for the future,” Boston’s HUBweek was founded through collaboration between The Boston Globe, Harvard University, Massachusetts General Hospital, and MIT. 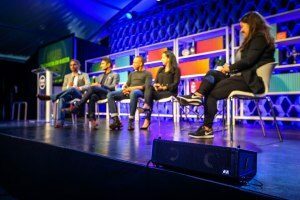 Celebrating its fourth-year last November, HUBweek 2018 featured a diverse selection of presenters, including entrepreneurs, inventors, and journalists, as well as numerous activations intended to spur conversations around art, science, and technology. 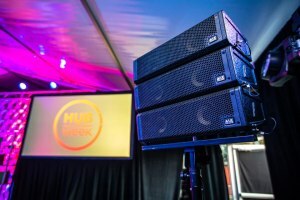 Boston-based High Output Inc. was once again tapped to provide production services for the seven-day event, which included a turnkey audio solution for HUBweek’s Center Stage, the festival’s premier presentation and performance venue. 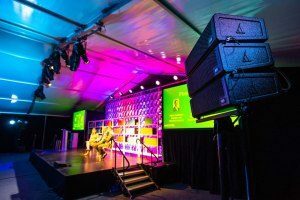 Located inside The HUB, a 300 person Losberger tent erected at Boston’s City Plaza, Center Stage played host to everything from TED-style presentations, keynote speakers, poets, and numerous musical performances from a wide variety of genres. “Diversity in art was definitely the objective for HUBweek organizers, so we needed a PA capable of delivering it all, with minimal to no tweaking between acts,” explained High Output Project Manager Jeremy Stark, who served as The Center Stage’s production manager throughout the week. 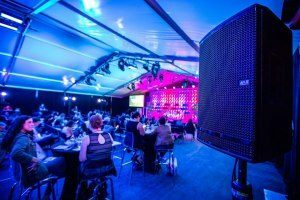 For Center Stage, High Output designed a solution around the VUE al-4 Subcompact Line Array System. A pair of three-element al-4 arrays were pole mounted using the optional al-4-PB mounting kit. 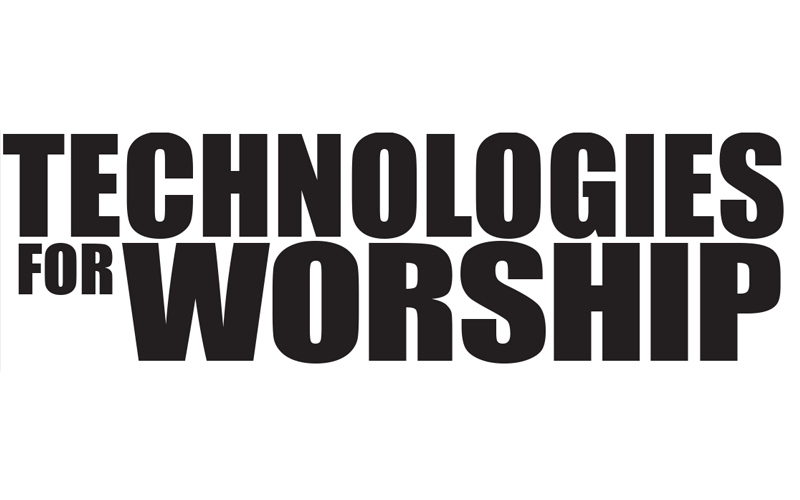 Low-frequency support came courtesy of two al-4SB subwoofers located at the base of the main array stands. An additional pair of al-4 acoustic elements provided front fill, while dual h-12 high definition systems served delay duty. VUEDrive Systems Engines provided all power and processing for the line arrays and subwoofers, while onboard VUEDrive electronics powered the h-12 delays. VUE systems also made an appearance in monitor form at HUBweek. 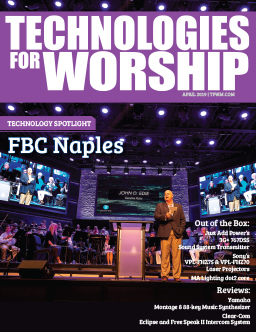 High Output deployed a total of eight, hm-112 high definition stage monitors, with additional VUEDrive Systems Engines providing power and processing for the on-stage systems. With another successful event in their back pocket, High Output’s services continue to be in high demand. 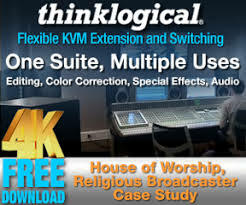 And according to Stark, the VUE systems have earned their place as a trusted partner in their continued success.